Enter the Exhibit Hall and check out the virtual Exhibit Booths for show specials, new products and giveaways. Take your seat at a seminar and enjoy our Guest Speakers informative presentations. 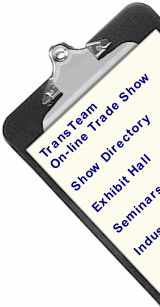 Enter here to log-in and manage your exhibit booth, see an exhibit booth demo or register for the trade show.